🎯 Airtame 2 is powered by a 2.3A 5V power adaptor. 🎯 Airtame 2 cannot be powered via USB port. 🎯 HDMI adapters can be used to convert the cable to VGA, DVI & DP. 🎯 Use only the provided power adapter. 🎯 The Aircord is not compatible with any USB extenders and, if necessary, should only be extended on the Power-side using a power extension cord. 🎯 Airtame 2 is compatible with the Airtame PoE to USB Adapter. Take the PSU (power supply unit) and the adapter of your choice. Slide the socket over the prongs of the power adapter. 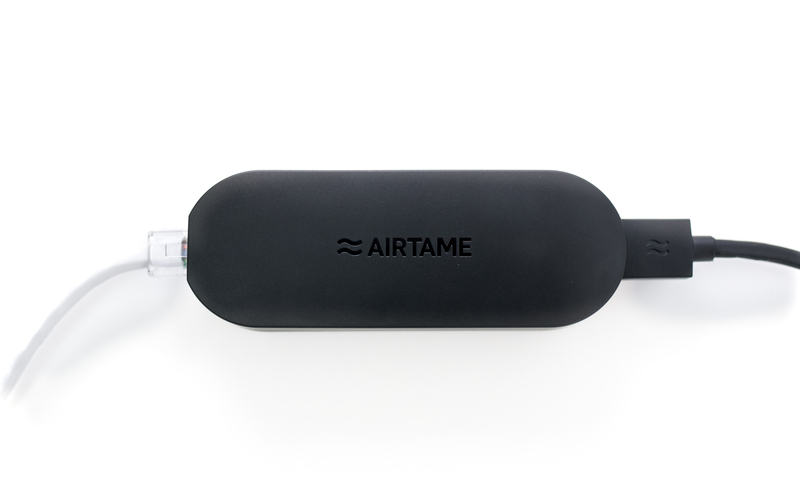 Airtame 2 has a compatible PoE to USB Adaptor (will be sold separately) that replaces the power adapter. You will soon be able to purchase Airtame's own PoE solution. Place the Airtame as close to the line of sight with the nearest AP as possible. Place Airtame within 50 feet (15 meters) of an AP. Use an HDMI-in that is in the direction of the nearest AP. 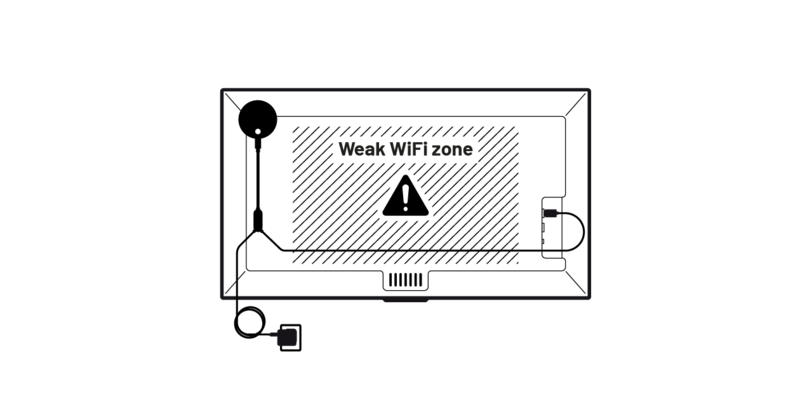 Try to avoid placing Airtame 2 behind WiFi blockers like the TV or furniture. Hide the cabling out of sight by using the adhesive strip. 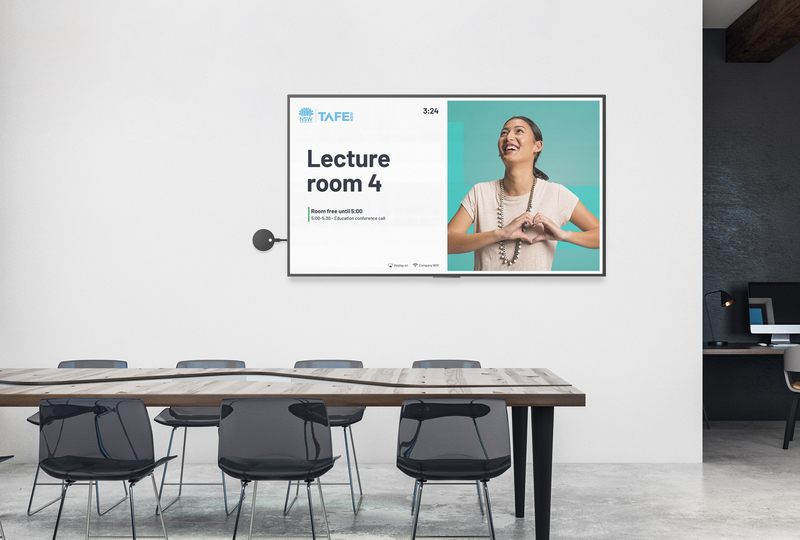 Permanent installations: use the adhesive strips of the wall mount and Aircord to permanently fix the Airtame 2 to the TV, projector or the wall beside it. 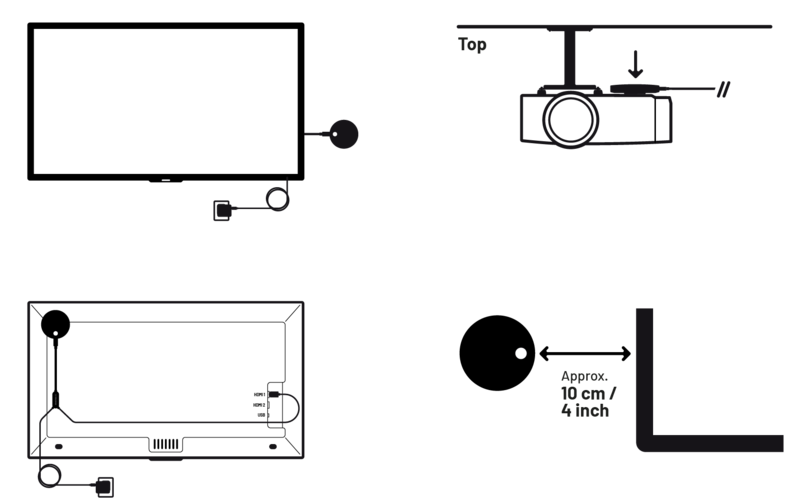 Non-permanent installations: use only the magnetism of the wall mount to fix the Airtame to a metallic part of the TV or projector. Remember to leave the red seal on the adhesive pads.